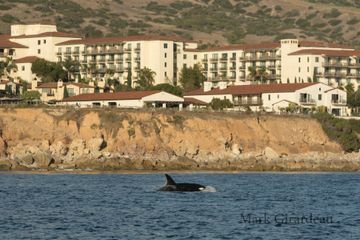 While orcas are rare to see in Southern California, they do make a few appearances each year to the amazement of many lucky whale watchers that happen to be on boats during that time. This encounter however was quite different than the rest as they weren't just passing by like usual, they were hungry! 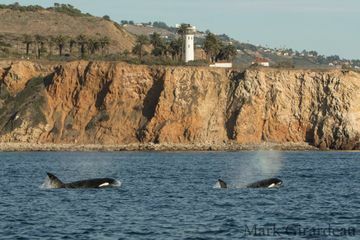 As they traveled down the coast from where they were first spotted off Marina Del Ray to where they were last seen as the sun went down at the South end of Palos Verdes, they feasted on a California sea lion, then ambushed a pod of common dolphins unsuccessfully as the dolphins took of at full speed once they saw the orcas approaching. Later on the orcas attempted to catch another sea lion but it got away. It was quite dramatic as the pod of 5 orcas spyhopped and breached several times in the course of a few hours. 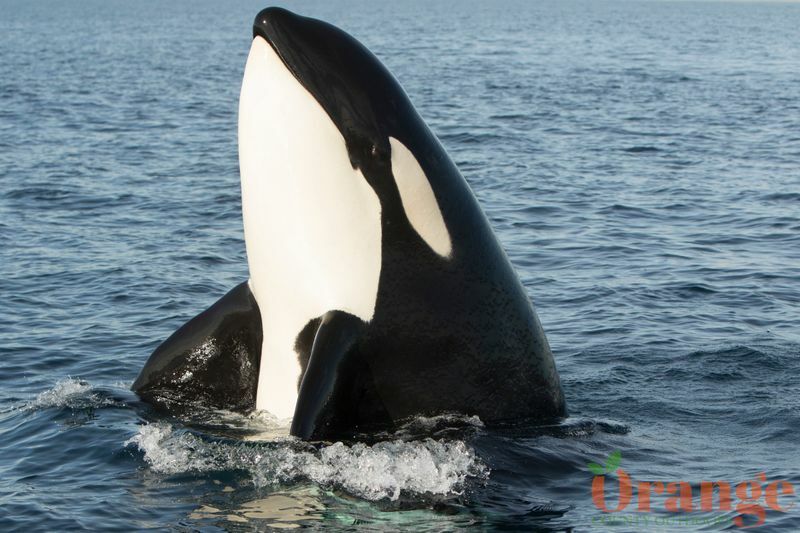 While this particular type of orca known as transient orcas specialize in feeding on mammals like seals, sea lions, dolphins, and whales, it's something that's typical seen farther North mostly around Monterey Bay. Other types of orcas like the offshore type specialize in eating ray, sharks, and other large fish. Resident types of orcas near Washington specialize in feeding on salmon and that is their primary diet. This pod was also interesting because 4 of the 5 orcas are from the CA-51A matriline but the large male here is known as CA-50B who has been seen traveling with different pods and sometimes solo. 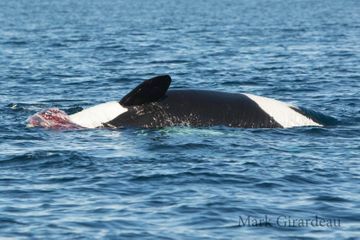 Male orcas are known to stay with their mothers their entire lives unless certain circumstances are presented like in this case where CA-50B's mother is presumed to have died, previously he was always seen traveling with his mother. 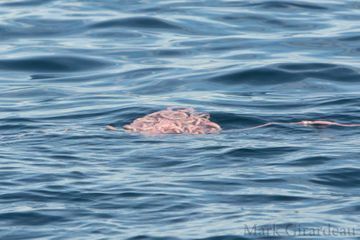 What also made this encounter interesting is the fact that they were at one point in about 50 feet of water very close to shore. 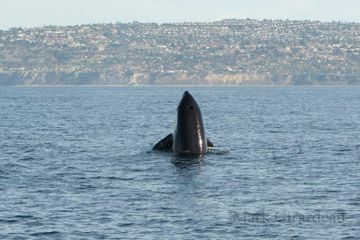 This encounter was documented by an extended whale watching trip from Newport Coastal Adventure. 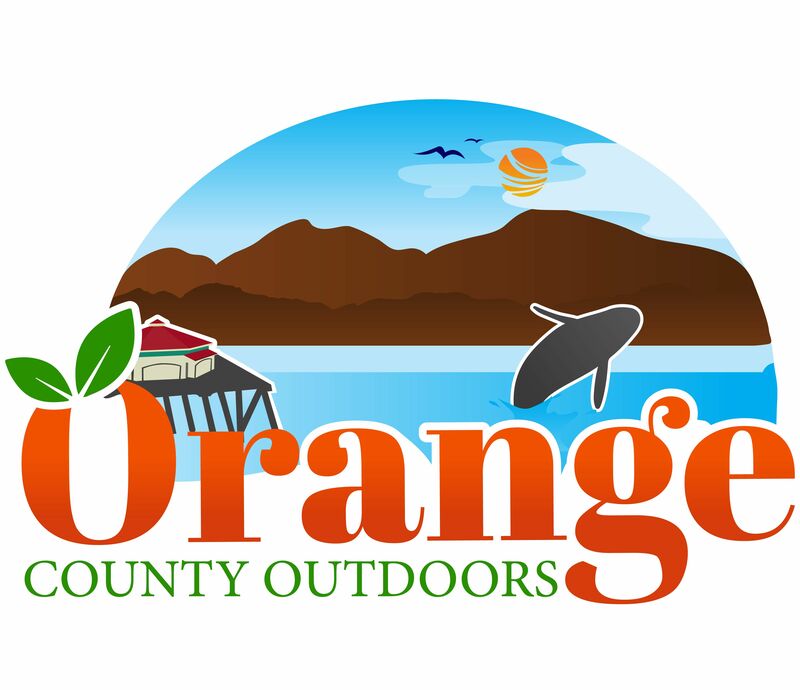 who runs the only whale watching boats out of Newport Beach capable of reaching this far. 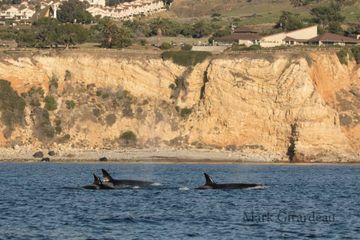 Thanks to researcher Alisa Schulman-Janiger of the California Killer Whale Project for identifying these individuals and studying them.